New Zealand’s largest fun run marking the 40th anniversary attracted an estimated 70,000 walkers, runners and wheelchair athletes; the Ports of Auckland Round the Bays attracted a large crowd to complete the 8.4km journey from Quay Street to St Heliers Bay at varying paces. First to cross the finish line in 28 minutes and 4 seconds was Jono Jackson from Auckland City Athletics Club. The winner took it easy until the last kilometre when he picked up the pace, and puts his win down to competition within his Club. “I’ve come second for the last two years so I really wanted to win, we have this superstar guy in the Club but I just got him in the end,” says Jono. Second across was Tony Payne who completed the distance in 28 minutes and 16 seconds. The first woman across the finish line, Lisa Robertson, was nearly five minutes ahead of her closest rival, clocking in at 29 minutes and 19 seconds, followed by Nikki Hill at 34 minutes and 14 seconds. Women’s winner Lisa, a member of Pakuranga Athletics Club, was a first-timer at Ports of Auckland Round the Bays. “I felt like I was going to win it right from the start,” says Lisa. Ports of Auckland Round the Bays was also a special occasion for young Sahara Adams. The 13 year old Make-A-Wish recipient was the official race starter, setting the 70,000 strong crowd on its way at 9.30am. “It was so cool! It was a bit freaky with all those people, but I really enjoyed it,” says Sahara. Sahara, who is undergoing leukaemia treatment, recently met her idol Taylor Swift thanks to Make-A-Wish New Zealand. Proceeds from the 42,000 participants who officially registered for today’s event will go to Make-A-Wish New Zealand, Child Cancer Foundation, Garden to Table Trust, Fairfax First Books and Kidz First Childrens Hospital. After the event, crowds headed to over 600 barbecue sites at Madills Farm and Glover Park for food, refreshments and entertainment. Event spokesperson, Fairfax Media Group Sales and Marketing Manager Sandra King, says over 80% of entrants were part of a team, making Ports of Auckland Round the Bays a big day out for many businesses. “Teams ranged from four to 1200, with some brilliant t-shirt slogans and costumes. For Fairfax’s team of over 270, it was a lot of fun,” says King. Weather conditions were fine for the race duration, with cloud cover and slight drizzle later in the morning helping to cool off tired runners. Ports of Auckland Round the Bays was established by the Auckland Joggers Club in 1972 with the inaugural event attracting 1200. The inaugural Special Olympics Asia Pacific Games for athletes with an intellectual disability will be held in Australia in December 2013. Newcastle has secured the winning bid against strong competition from cities in India and Malaysia. In less than 22 months, Australia will welcome more than 1,700 Special Olympics athletes, 600 coaches, 4,000 volunteers, and approximately 200,000 spectators from 25 nations across the Asia Pacific region, who will compete in a range of Olympic-style sports. “The Special Olympics movement is very close to my heart,” says Quentin Bryce, Governor-General of the Commonwealth of Australia at Sydney Opera House, announcing the decision by the Special Olympics International board of directors. 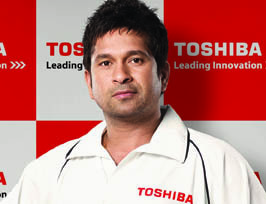 “I am very proud to be Patron of this national charity and delighted that Australia will host the Asia-Pacific Games. “I hope the Games will build a platform of awareness and support for people with an intellectual disability and I urge all Australians to support athletes along their journey to the Games and beyond,” Bryce says. Founded in 1968 by Eunice Kennedy Shriver, Special Olympics is the largest grassroots sport and humanitarian organisation in the world, having grown from a few hundred athletes to more than 3.7 million in over 185 countries in all regions of the world. Gill Stapleton, CEO, Special Olympics Australia says the win is a great opportunity for Special Olympics athletes to share their successes and talents with members of the broader community. “A Games of such magnitude is just reward for the athletes and volunteers who give their best at weekly sports training. “This is a great opportunity for them to share their talents with the wider community. I can’t wait to see athletes from across Asia Pacific doing their best and experiencing the thrill of competition. The Special Olympics Asia Pacific Games will provide a unique opportunity to support local athletes from 25 countries including Pakistan, India, Malaysia, Nepal, Japan and New Zealand to access sport, a supportive community, and the opportunity to achieve their personal best. On the morning of Sunday 18 March over 42,000 runners will line up at Auckland’s Quay Street, ready to run 8.4km distance to St Heliers Bay, as part of the Ports of Auckland Round The Bays Race. In its 40th year, Ports of Auckland Round the Bays will donate over $100,000 to children’s charities with proceeds from this year’s event. Projects will include a new play area for Kidz First Children’s Hospital, 500 electric thermometers for the Child Cancer Foundation, plus donations to Make a Wish Foundation, Garden to Table Trust and Fairfax First Books. In the past 10 years alone, entrants in Ports of Auckland Round the Bays, which is owned by Fairfax Media and sponsored by Sunday Star-Times, have contributed over $1.2 million to charities. Corporates are again making Round the Bays one of their biggest staff events of the year, with companies such as ASB, Mainfreight, Barfoot & Thompson and Fletcher Construction entering big teams. Entry fee is $15 for adults and $10 for children (16 and under). The Race website. A sport charity is inviting nominations from those actively involved in sport and community work in the Indian community. SPROUT, an Auckland-based charity, has launched the Indian Sports & Community Awards to be held on 26 May 2012 at the Sudima Hotel near Auckland International Airport. The inaugural awards aim to promote community development and sports in the New Zealand Indian community, says Aditee Naik, the project manager for the awards. “The awards will not only acknowledge individual talents but also honour organisations that have supported the society. “The awards will recognise the Indian sportspeople at the grassroots level in pursuit of excellence and to honor the outstanding contributions by Indians in the community. “The awards are an extension of what we are already doing.” SPROUT, which stands for ‘Sports, Recreation and Outdoors Trust’, recently won an award in the ‘Sports and Leisure’ category at the Infratil Community Awards 2011 in West Auckland, for its work in promoting active lifestyle. SPROUT runs physical exercise and sports classes, community garden projects, organises community runs and publishes a health magazine. Nominations are open to people of Indian descent who are involved in community work, volunteering or have represented their chosen sport(s) at a regional, national or international level. The qualifying period for the nominations is the year ending 31 March 2012. The closing date for the award nominations is 22 April 2012. The Global Indian magazine is a media partner. More details. Community volunteer of the year – Open to any volunteer who is working passionately for the betterment of community. What were the odds that the Bryan brothers’ 23-match winning streak will be interrupted by a pair that was defeated by the American twins in a tuning event earlier in the month, that the Bryans will be defeated in two straight sets by a pair that was teaming up only for the fourth time? The 38-year old tennis player’s victory is a stark contrast to the Indian cricket team’s embarrassing 0-4 test series defeat to the Australians, despite its ace players in the squad. Paes ended his seven-year wait for the career grand slam with the Australian Open men’s doubles title. Paes partnered with 33-year old Czech Radek Stepanek to defeat the defending champions Bob and Mike Bryan 7-6 (7-1), 6-2 and win his seventh grand slam title. The winning pair is now richer by $454,500. Paes ruined the 33-year old Bryan brothers’ chances of emulating the 11 major titles’ record of the Australian duo – Mark Woodforde and Todd Woodbridge, also known as the Woodies. It was only last year that the Bryan brothers had defeated Paes, and his partner Mahesh Bhupathi, in the Australian Open final. Paes has won won three French Opens, two US Opens and a Wimbledon Open in men’s doubles, and six grand slams in mixed doubles. Think about the level of physical endurance you would need to complete a 243km race through mountains and rivers. Now imagine running, cycling and kayaking that distance blind-folded. Now we are talking about mental endurance. Meet 27-year old Neelusha Memon, who is almost blind and yet determined to compete with more than 800 able-bodied racers in New Zealand’s Coast to Coast Challenge in February. The Challenge, which spans across Southern Alps from Tasman Sea to Pacific Ocean, is a benchmark by which all other multi-sport events are judged, both here in New Zealand and overseas. Competitors cycle 140km, run 36km (including a 33km mountain stage that crosses the Southern Alps) and kayak 67km of the grade two Waimakariri River through the Grand Canyon of New Zealand, the Waimakariri Gorge. Neelusha, or Neelu as she is mostly known, is participating in the race to create awareness about disability. She wants to change the perception that people with disabilities have limitations. The things that can be achieved when people have support are huge, she writes in a blog entry. “There is no way I could dream of finishing one leg of this race without the support of other people. She is supported by a team that helps her in her training and will also participate in the race with her. For Coast to Coast, she will run with Nick Crocker and Glenn Hedges for the 36km run, before joining Oliver Marshall for the cycling leg. Finally, Warwick Taylor will support her in a tandem kayak. When she was 17, Neelu suffered from a rare autoimmune disease that sent her in coma for four months. 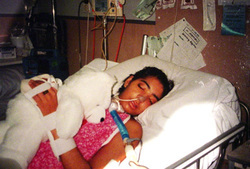 Following the brain injury, Neelu had to work hard to regain her functions. While she recovered most of her functions, she lost about 70% of her vision, which makes her technically blind. “These impairments definitely make things harder for me, but they do not stop me.” She has competed in the para-cycling world-champs on a tandem cycle, climbed Mount Aspiring, and enjoys most sports. She has also completed her masters degree in disability policy at the University of Canterbury and she currently works as team leader for CCS Disability Action Group. However, Coast to Coast will test not only her physical endurance but also her mental strength. “This will be the hardest challenge yet as both my sight and balance will be paramount in getting over the mountain run, and will make things slower. “With a cut off time of eight hours it will be a massive push for me to even finish the stage; not to mention the kayak stage as well as the cycling stage! A huge waka-shaped pavilion, cornerstone of the very popular Rugby World Cup event, may be seen next year in London during the 2012 Olympic Games. New Zealand won the recently concluded Rugby World Cup. Discussions are underway between the New Zealand Olympic Committee and Ngati Whatua o Orakei to take the 76-metre long Waka Maori to the United Kingdom. 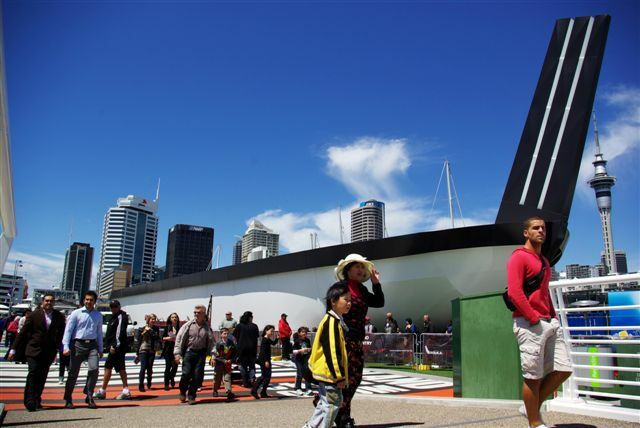 The 76-metre long waka has been on the Auckland waterfront since 13 October where it has seen around 400,000 visits to the Waka Maori events that included performances in the waka, a Maori rugby exhibition and carving, weaving, ta moko and contemporary Maori arts displays at the artisans village. The waka cost $900,000 to build and was funded by Te Puni Kokori, the Ministry of Culture and Heritage and the Ngati Whatua o Orakei Maori Trust Board. The waka has made an impact at the Rugby World Cup fanzone and it could provide a focal point for New Zealand activities in London, says New Zealand Olympic Committee Commercial and Marketing Director Terry Daly. “We’re urging business and government to build on the momentum created around the Rugby World Cup and to look at ways the London Olympic Games can be used to promote New Zealand,” he says. “A major Kiwi House in London is taking shape and the waka could add another dimension to the series of showcase events already planned. The New Zealand Olympic Committee will announce its plans for Kiwi House in London early next year. Ngati Whatua o Orakei Maori Trust Board chief executive Tiwana Tibble says there has been a lot of enquiry, both before the rugby tournament and during, about using the waka. “From a Ngati Whatua perspective we are interested in opportunities where the waka can be used to show New Zealand at its best and create greater awareness of Maori culture as a positive part of life in this country. Auckland businesses now have free access to a wealth of information and resources to help them prepare for Rugby World Cup 2011, with the launch of Auckland’s Match Ready for Business programme. 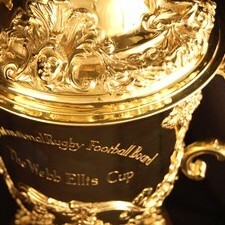 Information and resources will be updated regularly till the beginning of the Rugby World Cup 2011 on 9 September. Small and medium businesses in Auckland can register for newsletters and email updates on the site. The online guide has been developed by Auckland Tourism, Events and Economic Development Ltd (ATEED) on behalf of the RWC 2011 Auckland Co-ordination Group. opportunities to connect with visiting international businesspeople. The biggest event on the rugby calendar is expcted to attract 85,000 visitors to New Zealand and provide a significant economic boost to the ailing economy. Most of those visitors will visit Auckland, says ATEED business and sector development manager Clyde Rogers who expects the RWC2011 to benefit Auckland businesses by up to NZ$267 million in additional direct spend. “So we want to make sure businesses have the information they need to be ready and make the most of the opportunities for themselves and for Auckland. Rogers says the Match Ready programme is aimed at small to medium sized businesses. “Visitors will be interacting with businesses many times a day and, regardless of how much they spend, their experience will influence their impression of Auckland. Match Ready has been given the thumbs up by business groups including the Hospitality Association of New Zealand, the New Zealand Retailers Association and the Auckland Chamber of Commerce. “RWC 2011 is a fantastic opportunity for our industry and Match Ready is a really valuable resource to help our businesses prepare for it. We are recommending they spend time on the site and pass the relevant information on to their teams,” says Russell Sinclair, Northern Regional Manager of the New Zealand Retailers Association. For businesses outside the Auckland region, a national version of Match Ready is being developed by New Zealand Trade & Enterprise and will be available in April. While the Rugby World Cup 2011 may been the biggest casualty of the Christchurch earthquake for canterbrians, all is not lost. Encouraged by Prince William’s visit to the earthquake-affected Canterbury, the promoters of International Ice Hockey USA vs Canada have decided to go ahead with the event. The 28-year old second-in-line to the British throne followed his Christchurch visit by meeting the families of the 29 men killed in the Pike River mine disaster, before crossing the Tasman to see flood-devastated areas of Victoria and Queensland in Australia. The Prince’s visit provided the much-needed confidence to the promoters of the International Ice Hockey’s game two which is set for Christchurch’s CBS Arena on 30 July. Christchurch is New Zealand’s second largest city and the largest in the South Island. Regarded as the most English of cities, Christchurch is situated on the east coast of the South Island. The venue is not affected by the earthquake and the promoters see no reason for Christchurch residents to miss out on the action sport event of the year. It’s not about making money, says Douglas. “It’s about giving the people of Christchurch our support and giving the city and residents back some energy and excitement. The promoters expect the event to provide a NZ$2 million boost to the economy, which may not be much internationally; however for a small economy that was already suffering from recession, this could be a welcome relief for not just Christchurch, but for New Zealand. Bringing the international series to Christchurch is not without its problems; the North American tour directors are cautious about letting their NZ$100 million product come to a broken city. “I do not care if I have to fly them in one hour before the game and out again after, If Prince William feels safe then so should they,” Douglas says. Kerry Goulet, a tour commentator says that Ice Hockey is one of the hardest and fastest sports on earth and that he believes that Cantabrians are a tough bunch and will enjoy that action. International Ice Hockey promoters are going the extra mile to make this a “real” American Ice Hockey experience with extreme sound and lighting, big screen TVs, action replays and live American announcers. With the ice floor fresh off the boat from the Netherlands as the first ever fully portable NHL spec ice floor in Australasia, it will be a spectacular display of Ice Hockey entertainment. In the meantime, the prince has returned to the UK in time for his wedding to Kate Middleton on 29 April. In a major setback to the quake-affected city, the Rugby World Cup 2011 Tournament partners announced that Christchurch will be unable to host the seven matches scheduled to be played at Stadium Christchurch and these will be rescheduled to be played at other venues in New Zealand. The decision was unanimously supported by Tournament owners the International Rugby Board, the New Zealand Government, the New Zealand Rugby Union (NZRU) and Tournament organiser Rugby New Zealand 2011 (RNZ 2011). This follows a detailed review of reports assessing damage to key Tournament facilities and infrastructure caused by the devastating 6.3 magnitude earthquake that struck the city on 22 February. The stadium operator, Vbase, could not provide an absolute assurance that all necessary remedial work could be completed in time for RWC 2011, a statement by Rugby World Cup 2011 said. International Rugby Board Chairman Bernard Lapasset travelled to Christchurch for the announcement. “Yesterday we were informed by Stadium Christchurch operator Vbase that it could not guarantee that the extensive repairs required for both the stadium structures and the playing surface could be completed in time. “That information means that Tournament partners have been left with no choice but to make the difficult decision to reallocate the seven matches due to be played in Christchurch. “This has been a hard decision for all involved, given the place of Canterbury in New Zealand Rugby and the tremendous enthusiasm and support that the people of Christchurch have displayed for RWC 2011. Ticket purchasers for all Christchurch matches will be offered the option of a refund or the opportunity to secure tickets to the relevant reallocated matches. RNZ 2011 has confirmed there will be sufficient availability of tickets to the rescheduled matches for those wanting to take up that option. Vbase has indicated that the repair timeframes are so tight there would be no leeway for work delays or for any risks. This prevents Vbase giving assurances that it can meet its RWC 2011 obligations. “We know Cantabrians are passionate about Rugby and we know that many wanted the matches to remain as a way to unite and heal their shattered city,” says RNZ 2011 Chairman Brian Roche. “However, we needed to weigh up the risks of continuing with matches in Christchurch with just 25 weeks to kick-off to the world’s third largest sporting event. “Tournament partners are looking into a number of initiatives that will give Cantabrians a chance to be part of our Stadium of Four Million. Contingency planning is at an advanced stage, but the process of allocation of matches is complex with many factors to consider, including accommodation, transport and broadcast logistics. Eden Park is confirmed as the venue for the quarter-finals of October 8 and 9 and a decision regarding where the five pool matches will now be played will be taken jointly by the Tournament’s partners as soon as feasibly possible, likely before the end of March. “Eden Park was the only logical alternative to stage two of the Tournament’s premier matches given the ground capacity and visitor accommodation demands associated with these quarter-final matches,,” says RNZ 2011 CEO Martin Snedden. “We are working hard to ensure as many pool matches as reasonably possible remain in the South Island. A key consideration in all of this is to reschedule matches in a way that minimises the impact on other matches and therefore causes the least disruption to existing arrangements for teams and travelling. “We appreciate this is a time of great uncertainty for fans which is why we are trying to resolve all issues as quickly as possible. The Rugby World Cup is expected to be the most wagered event of the year, according to most New Zealand betting firms. British agency Ladbrokes has reported that a near quarter of a million New Zealand dollars has been wagered on the host team, All Blacks. A Ladbrokes punter has placed a £100,000 ($210,000 NZD) bet on New Zealand winning the World Cup, with odds at the time ‘even money’ for the All Blacks to break their famous global title drought. “The All Blacks have a patchy World Cup record but somebody with a lot of cash clearly thinks they’re ready to come good next year,” Alex Donohue of Ladbrokes said. Ladbrokes responded instantly and slashed the odds for the All Blacks to 4/5 to win on home soil. The odds essentially run through as a list of the current International Rugby Board world rankings, with the Investec Tri Nations sides the top three favourites globally. England and France are ranked fourth and fifth favourites to win. Massive sums of money have been wagered on the All Blacks in World Cups before. The NZ Herald reported that at the last World Cup in France, someone wagered $5 million AUD ($5.9 million NZD) for the All Blacks to win, with the odds again at even money for the 2007 favourites. When will a decision be made on rescheduled matches? RNZ 2011 aims to resolve this by the end of March. This is a complex process with many factors to consider including accommodation, transport and broadcast logistics. Any changes to the match schedule will involve discussions with multiple suppliers and all this will take time. What happens to tickets to Christchurch matches? Ticket purchasers for all Christchurch matches will be offered the option of a refund or the opportunity to secure tickets to the rescheduled matches. RNZ 2011 will provide full details about this process by the end of March and communicate with all ticket purchasers directly. Further information can be found here. Will ticket purchasers be able to get tickets for the same category seat? RNZ 2011 can confirm there will be sufficient availability of tickets for those wanting to take up that option. Availability in specific categories will depend on the venue to which the relevant match will be reallocated. What if ticket holders want a refund now? While the process is being finalised, we are unable to process any refunds. Full details on the policy will be provided by the end of March.What happens to fans who have booked flights and accommodation? There are discussions underway with airline and accommodation providers to determine the transitional arrangements. We urge patience until more accurate advice is provided. Ultimately fans will need to contact their provider directly. Why are you not releasing the other match reallocations aside from the quarter-finals? We need time to lock in venue agreements and arrangements with many suppliers including accommodation and transport providers. However, we will be moving through this process as quickly as possible and aim to announce decisions by the end of March. Could Christchurch still be a training base for some teams? It is too early to say. We are examining a variety of initiatives to help Christchurch share in the excitement of the Tournament. Why could Dunedin not host at least one of the quarter-finals? The new stadium’s maximum capacity is 30,000 compared to 45,000 for Stadium Christchurch so it would not be possible to satisfy all demand for either match. Some fans who had booked for Christchurch would inevitably miss out. Auckland was the logical alternative given the proven capacity and capability of the city and Eden Park to host major events.